up by Rick Astley. Apparently it was big some years ago, from 2007 onwards. Niels Henrik David Bohr (1885 – 1962) was a Danish physicist who made foundational contributions to understanding atomic structure and quantum theory, for which he received the Nobel Prize in Physics in 1922. 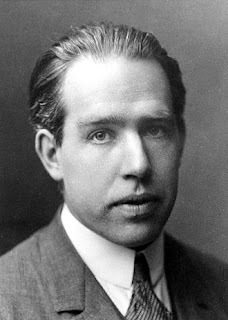 Bohr was also a philosopher and a promoter of scientific research. During the 1930s, Bohr helped refugees from Nazism. After Denmark was occupied by the Germans, he had a famous meeting with Heisenberg, who had become the head of the German nuclear weapon project. In September 1943, word reached Bohr that he was about to be arrested by the Germans, and he fled to Sweden. From there, he was flown to Britain, where he joined the British Tube Alloys nuclear weapons project, and was part of the British mission to the Manhattan Project. After the war, Bohr called for international cooperation on nuclear energy. 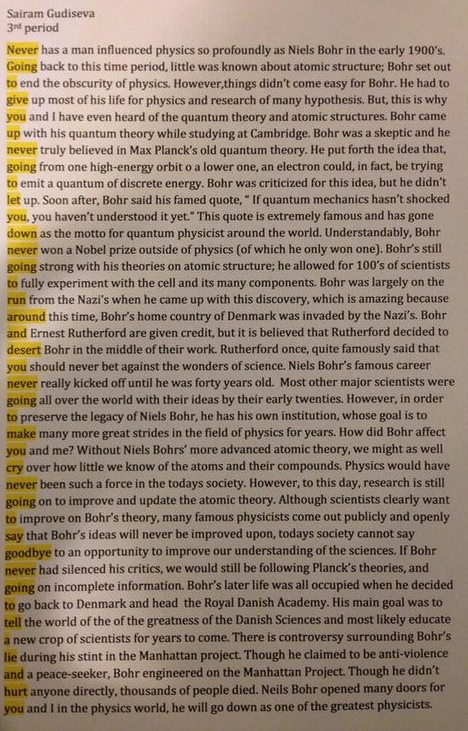 In 2014 student Sairam Gudiseva Rickrolled his teacher by inserting the chorus of Rick Astley's Never Gonna Give You Up into an essay assessing the influence of Danish scientist Niels Bohr on quantum theory. 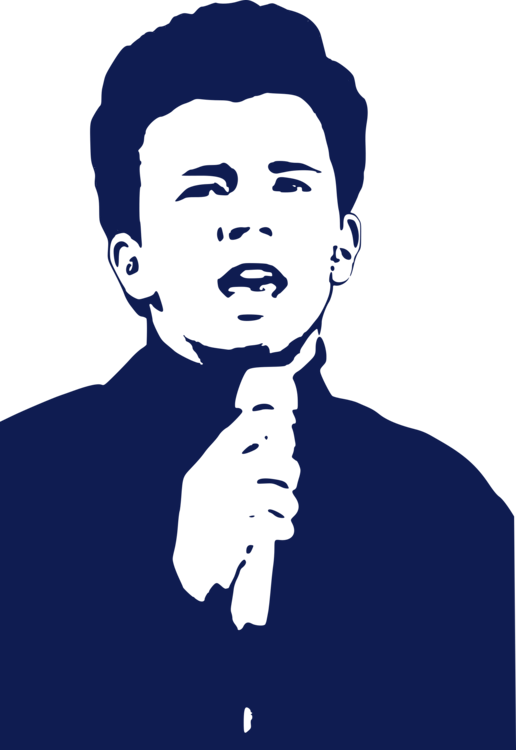 Sairam posted a picture of his submission on Twitter, but it is not known whether the highlighting was by Sairam or his teacher or what mark he received, or whether the teacher was even aware of the Rickroll . . .
And if you haven't realised, look again at the first paragraph of this post . . .